John M. Thorp, Jr. is the McAllister Distinguished Professor in the Department of Obstetrics and Gynecology and Division Director for Women’s Primary Healthcare. He is also a Professor of Maternal and Child Health in the School of Public Health. Dr. Thorp is the Medical Director and founder of the Horizons Perinatal Substance Abuse Program. He is a fellow at both the Sheps Center for Health Services Research and the Carolina Population Center. He directs the generalist obstetrics and gynecology group of UNC. Dr. Thorp has more than 33 years of superb clinical, research and academic service for which he has received numerous honors. He is well regarded nationally in the obstetrical community, and locally, where he has been asked to serve as a consultant to various regional hospitals. His efforts with students have garnered him several teaching and student research awards, and his strong role in the University and the School of Medicine has meant his involvement in committees focusing on faculty issues such as promotion and tenure as well as academic issues such as curriculum development. Professor Thorp helped start the Global Women’s Health Division and launch the first obstetrics and gynecology residency in Sub Saharan Africa. The Horizons perinatal Substance Abuse Program, considered world class, and one of the few programs treating both women and children. He pioneered medication-assisted treatment for opiate use disorders in pregnancy. Horizons just opened a new four-million dollar outpatient center and day care in Carrboro. He is also the medical director and co-founder of the Reply practice, which uses fertility awareness education as its primary approach to women’s health. Research endeavors by Dr. Thorp have included more than 70 grants on which he has served a principal role. These grants range in topics, to include hormone replacement, treatment for vaginitis, substance abuse among pregnant women, smoking cessation in pregnancy, preterm labor and delivery, oral contraceptive development, the study of cervicofetal fibronectin, the use of antibiotic prophylaxis, perinatal HIV infection and others. Dr. Thorp’s grants are sponsored by a number of private and public sources, which include several pharmaceutical companies, the Centers for Disease Control and Prevention, the National Institutes of Health, and the National Institute for Drug Abuse. 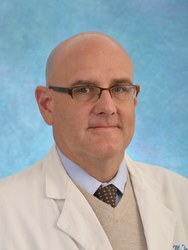 Currently he is a Principal Investigator for the Maternal Fetal Medicine Units Network grant, UNC being one of sixteen centers nationwide doing research into preterm birth and its causes. He was also consultant obstetrician to the NC sites in the National Children’s Study. Dr. Thorp is widely published in the obstetric and medical literature, and is considered an expert on obstetrical practice in general, with particular research interests in substance abuse issues surrounding women’s health, the epidemiology of preterm birth, and pelvic floor disorders. His research discoveries include that routine episiotomies predispose to rectal injury, progestins can prevent preterm birth, magnesium has neuroprotective effects for babies born prematurely, and late preterm babies can benefit from corticosteroids. Methodologically, he is also considered to have considerable expertise in the development and management of clinical trials, and has demonstrated his capability across a large number of study designs and trials of varying magnitude. Google Scholar credits him with 17,100 citations (06/01/2017) and an h-index of 43. Dr. Thorp is North American Editor of the British Journal of Obstetrics and Gynecology and recently was made a fellow by the Royal College.